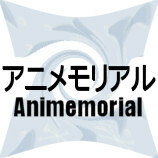 Anime TV series: 64 works. Mahô no Maco-chan is a anime TV series based upon a manga/original idea by Shinobu Urakawa. It ran in Japan from November 2nd, 1970 to September 27th, 1971 on Japanese channel NET (now TV Asahi) and is composed of 48 episodes. The animation was produced by Tôei Dôga in color. Akane-chan ep. #3 "Susume !! Misokkasu"